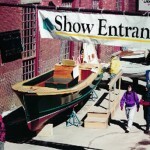 Maine has always been a great place for boat lovers and boat builders. 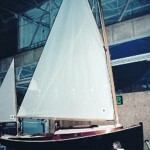 The two converge every year at the Maine Boat Builders Show in Portland. 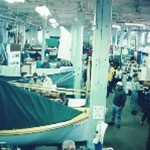 Despite Maine’s late winter snows, large crowds attend the show. Here are some of the boats exhibited at one show—coincidentally, their builders used WEST SYSTEM® Epoxy. The 19′ Chebacco 20 is a lapstrake cat-yawl designed as a light daysailer and trailerable weekend cruiser. Built by Story Shipyard in Essex Mass. The Western Way 19 is a classic launch, all weather commuter and a towboat. BUilt by Cranberry Island Boat Yard in Cranberry Island, Maine. Adirondack Guideboats are built in a range of sizes, and of materials from KevlarTM to cedar strip. Built by the India Point Guideboat Company in Midland, PA. 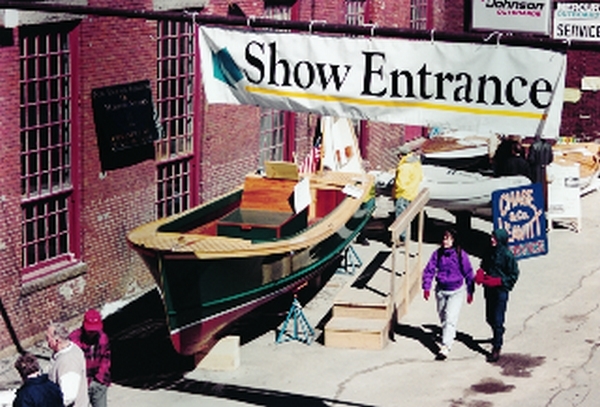 The Maine Boat Builders Show entrance. 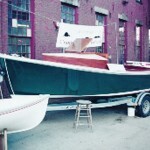 This Hodgdon Open Express Launch has a carvel planked mahogany hull. 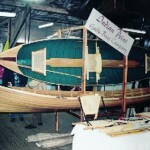 It was fully restored by the Apprenticeship Program at the New England Institute of Maritime Studies in Bath, ME.